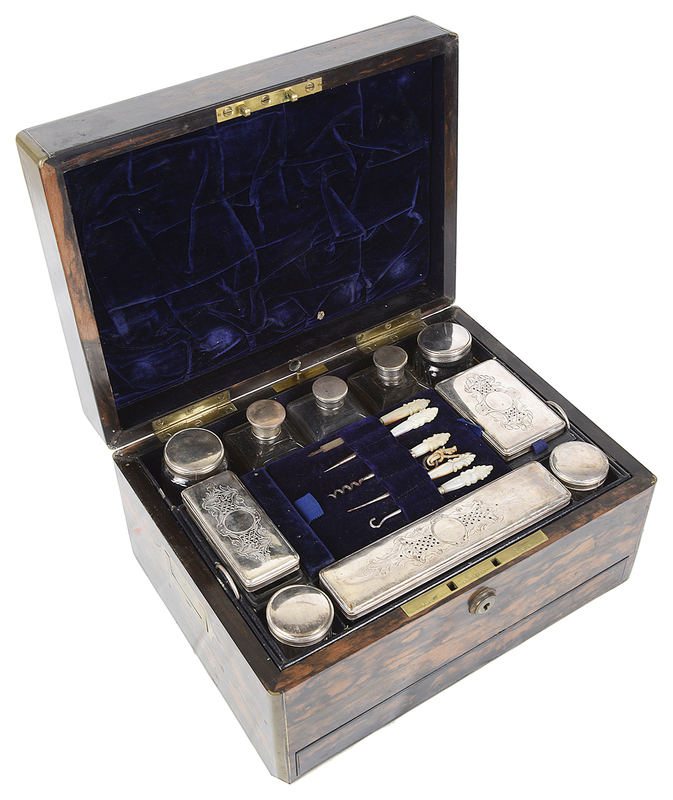 of rectangular form with hinged lid enclosing removable mirror and letter compartment, the interior fitted compartments with glass bottles, the fitted manicure set tray with mother of pearl instruments and glass containers with silver-plated lids, the exterior of the box containing a secret jewellery drawer, bears S Mordan & Co. London in the locking mechanism. 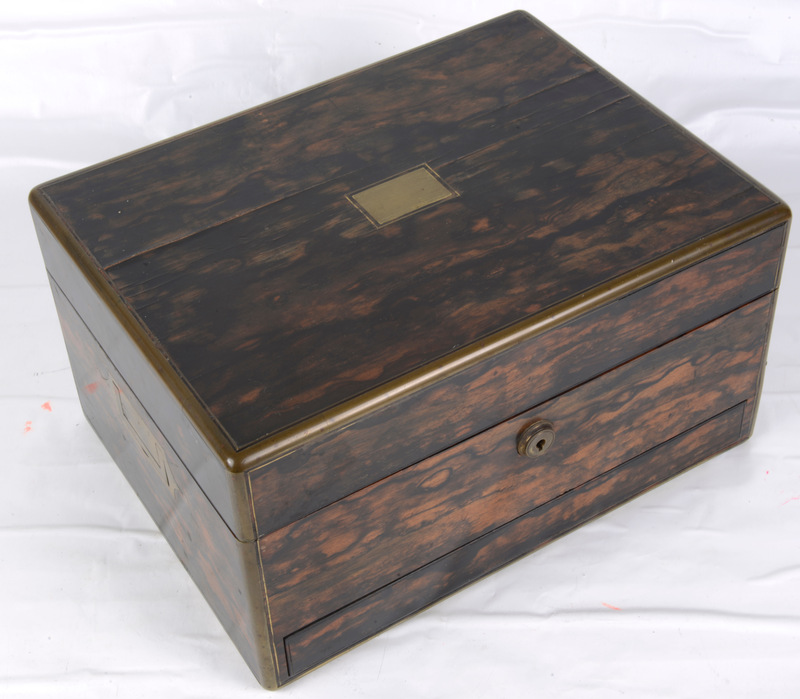 17 x 30.6 x 22.9cm approximately. Condition: Fair to good, with wear to exterior and interior, the coromandel has faded and cracks are apparent, the interior leather lining has scrapes and wear.